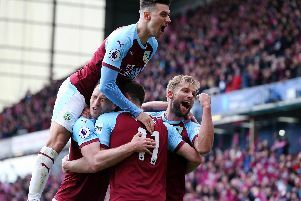 Burnley face the prospect of an FA Cup fourth round tie at home to Championship side Bristol City or League 1 Fleetwood Town. The Clarets first have to come through next Tuesday's Turf Moor replay with Sunderland, after Saturday's goal-less draw at the Stadium of Light. Bristol City and Fleetwood also have to replay after a 0-0 draw at Ashton Gate on Saturday. Fourth round ties will be played on the weekend of January 27-30th.